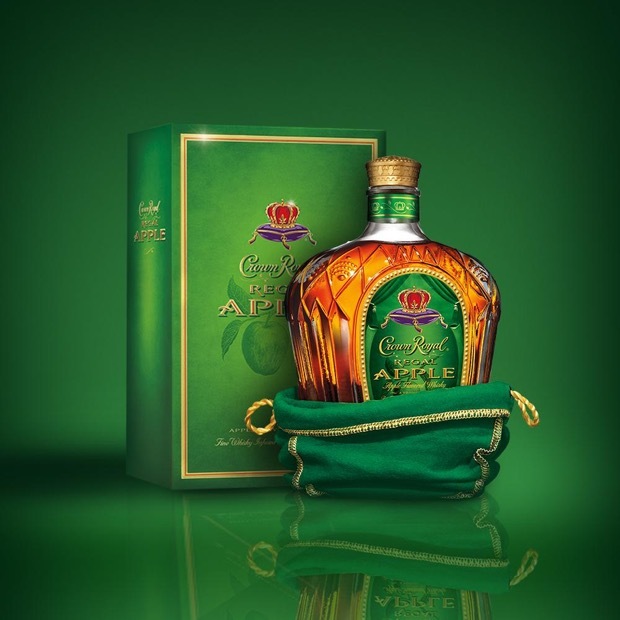 Crown Royal is launching a new offering to the brand’s portfolio called Crown Royal Regal Apple. The second flavored variant to be released, Crown Royal Regal Apple is a combination of the renowned taste of Crown Royal whisky infused with natural apple flavors. The unique blend of hand-selected Crown Royal whiskies and natural apple flavors is the perfect balance of robust whiskey notes and crisp apple flavor. Perfect for toasting occasions and best served as a chilled shot, Crown Royal Regal Apple is a great way to celebrate an occasion. One reason to celebrate is that we are now into a new NBA season. What team will you toast to? Will it be the “reigning” champion Spurs or the LeBron’s Cavs? No matter what team you will be rooting for make sure you enjoy Crown Royal responsibly. Here are some tasty drink recipes that are perfect to try out Crown Royal’s new whisky, the Regal Apple. Print article This entry was posted by Art Eddy III on October 27, 2014 at 4:56 pm, and is filed under Lifestyle. Follow any responses to this post through RSS 2.0. Both comments and pings are currently closed.